Get ready for spicy maple and salty citrus everything in 2015. 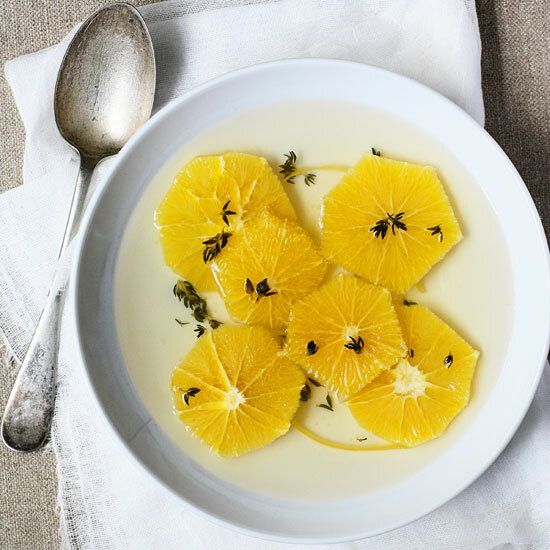 Get ready for spicy maple and salty citrus everything in 2015. Trend researchers at Sensient Flavors and Fragrances, a company that manufactures flavors and smells, recently released a list of eight new flavors that they believe will be this year’s trendiest. Last year, the company predicted that things like Fernet, juniper berry and gochujang—a pungent Korean chile paste—would be big. And, looking back, they were pretty right on. So we have no choice but to consider that this year’s strange but compelling list of up-and-coming flavors could be an accurate vision of our future. Here, the eight trends to watch for plus a few recipes inspired by the somewhat outlandish flavors. Smoky flavors were big last year, but the company believes those toasty, burnt notes will be even more prevalent this year in desserts. Think roasted vanilla-infused whipped cream. Sensient believes that homey maple paired with exotic Indian spices (mirch is Hindi for chile pepper) will be an irresistible flavor combo. These pork chops are glazed with a spicy-sweet mix of maple syrup and Sriracha. This hybrid breed of basil has hints of anise. A spiced, almond-flavored syrup often used in tiki drinks, Falernum is expected to pop up in non-alcoholic drinks and other products. Before you try it in coconut water, get a taste for Falernum in this classic tiki cocktail. According to Sensient, floral flavors are on the rise—but many people are still skeptical. Desert wildflowers have a mild flavor and therefore a wider appeal. Expect to see a blend of poppy seeds, salt, sweet onion, sesame seed, garlic and fennel on more than just your morning bagel. Everything bagel chips? Seems like a sure thing. These buttery puff pastry twists are coated in a mixture of seeds and spices inspired by the everything bagel. This Bolivian tea is made from dried coffee berries and sometimes mixed with cinnamon. Sweet and savory is a tried and true flavor combination. This year, it’s expected to get a citrusy spin. Orange juice and zest, soy sauce and plenty of garlic coat these wings with fabulous citrusy-savory flavor.